The Grand Grimoire is a black magic grimoire. 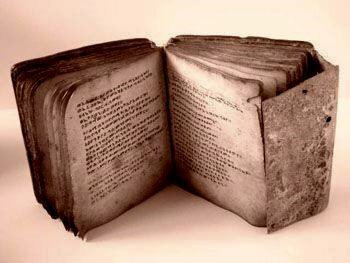 Different editions date the book to 1521, 1522 or 1421, but it was probably written in the early 19th century. It was authored by someone named Antonia Venitiana del Rabina who supposedly gathered this information from original writings of King Solomon. Also known as "The Red Dragon", this book contains instructions purported to summon Lucifer or Lucifuge Rofocale, for the purpose of forming a Deal with the Devil. The book is called "Le Veritable Dragon Rouge" ("The True Red Dragon") in Haiti, where it is revered among many practitioners of Voodoo. It is claimed they were placed under King Solomon's throne by the devil to tempt him.